For 2017 my employer had a fitness challenge to everyone that participated in our healthcare plans. The challenge was to walk 7,500 or more steps every day from August 28th to October 6th. In return, we had the opportunity to earn $250 in our HSA (health savings account), which definitely helps with our medical bills each year! Sounded like a pretty sweet deal, so I decided to investigate more on what I needed to participate. A couple of weeks before the challenge began they send out a mass email on where to sign up, and all the things you need to participate. One of those things was a step monitor. My employer was offering $40 for reimbursement, and a wide variety of step monitors to choose from, ranging from $25 to $499! 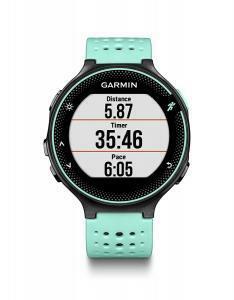 In looking through the list the Garmin Forerunner 235 caught my eye! Being a runner it offered a lot of features besides just the step counter that the cheaper units were offering. It was complete overkill for the step counter, but I knew it would come in handy, way beyond our fitness challenge. GPS – prior to buying the forerunner, I had a GPS watch that was 12 years old. It generally took my old watch about 30-60 seconds to find a GPS signal. With the Forerunner 235, I would typically get my signal within 3-5 seconds, and be able to run almost right away! Heart Rate – the watch now comes with a built-in heart rate monitor behind the back of the watch and doesn’t require any additional attachments. This is pretty simple and is easily within 2-4 bps of my other chest based heart rate monitor. Instant uploading of my stats – I love how the Forerunner (when paired with my phone), can upload my workouts to both Garmin and Strava! I love to pair this capability with the ability to track my training plan and ensure that I’m on track! Also, it helps to post my workouts to multiple apps, so that I can be accountable to my training partners. Phone connectivity and notifications – hands down the thing I love the most about my watch is the connectivity it has to my phone and notifies me of income calls, texts, and e-mails. I would frequently miss phone calls because I’d have it on vibrate, but the nice thing about the phone is that it’ll notify your wrist as well. This makes it almost impossible to miss notifications, and allows you to set what you are notified on. 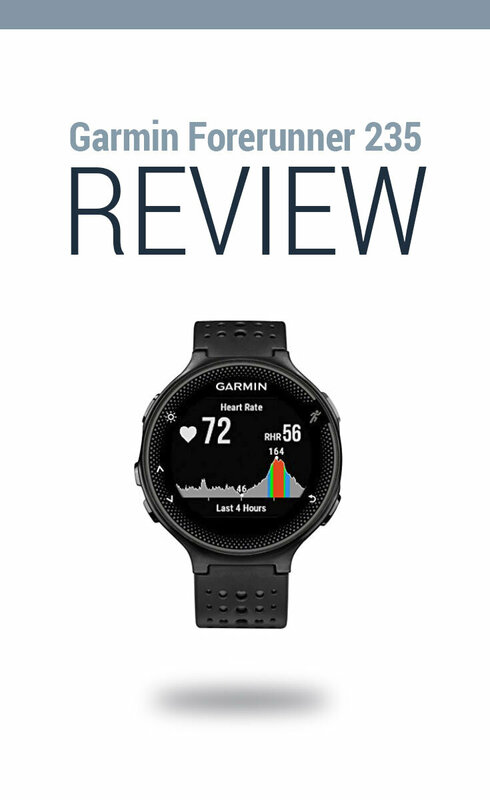 Indoor tracking capability – during the winter I run a lot of indoor workouts and the watch is pretty accurate on measuring my cadence and distance. Don’t know how they do this, but it is within 5% margin of my actual distance. Durability – I wrestle around with my boys a lot and often forget to take off my watch when working in the garage. Every time I’ve thought I messed up my watch, I’ve cringed and looked at it and thought it surely was scuffed or broke. But it has constantly proved me wrong! Sleep tracking – freaking coolest feature is that it tracks your sleep. It knows how long you’ve slept, and how long you’ve been in deep and light sleep. Value – you get an awful lot of features for a watch that generally costs $280-$350. When I compare it to my Timex 100 lap watch that cost $50, then I think it gives me so many countless features wrapped up in that higher price. With that considered, its price-per-feature is significantly lower than my Timex! Price – even though it offers a lot of features, the watch is still the most expensive watch I’ve ever boughten. Retail it goes for $320 and is hard to justify if you don’t use all the features and merely just need a watch. Very Complex – if you aren’t tech savvy, then this watch can feel overwhelming. With all the bells and whistles it comes with, it makes reading the owners manual that much more important. Battery Life – the longest my battery has lasted (with moderate GPS usage) is about 6.5 days without a recharge. It honestly lasts a long time, but could still be improved upon. Overall, being the thrifty guy I am, I couldn’t be more pleased with this watch! I don’t doubt for runners and non-runners alike that you’d feel the same way. I really had a hard time purchasing such an expensive product, but it came down to that I would get so much more use out of it, than just counting my steps. I use it for almost all my activities and has proved invaluable! I couldn’t imagine life without it! 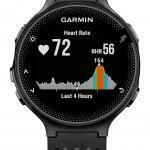 I’d be interested to hear your thoughts on the Forerunner 235 or your GPS watch. What features do you like? What makes your smartwatch worth it? TTG may earn a commission if you purchase through a link on this page, at no cost to you. Thank you for supporting the site. Is This Offer Too Good to Pass Up?